Well, yes. It's been a long time since I've been able to visit this space, but here I am again. I hope you all had a great holiday season and that the first month of 2013 has been good to you. It's been a slow start on this end, but it finally feels like I am back in the swing of things. I wanted to share this painting I FINALLY finished, after several months of starting and stopping, and then repeat. Some of my more recent posts have been about art in children's books, and this painting was inspired by one of my favorites. I love the frontispiece from the old Golden Book "Wonders of Nature". 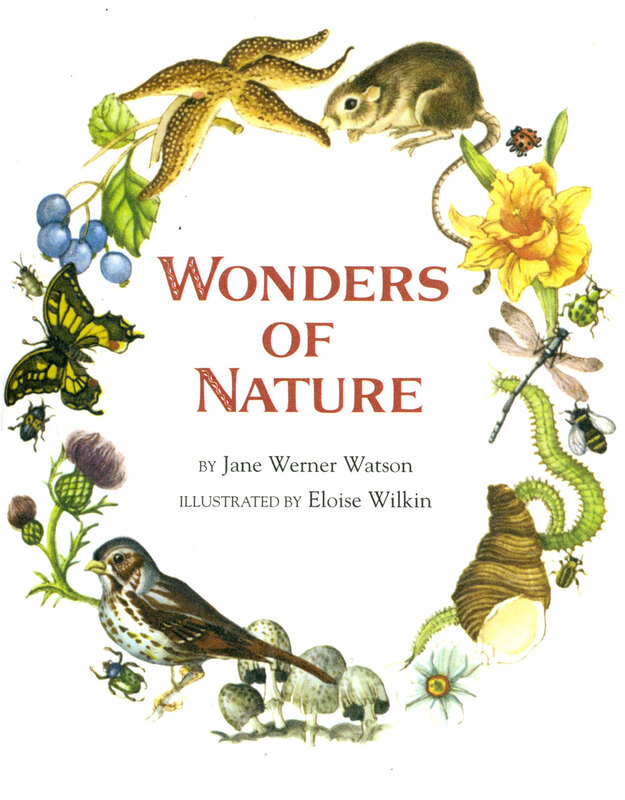 Eloise's Wilkin's illustrations in this book have so much sensitivity and reveal a keen sense of the natural world. We have several vintage Golden Books illustrated by Wilkin. I'm not crazy about all of her work. Sometimes I really love the way she depicts children, and sometimes they kind of creep me out. If you are familiar with her work, I think you know what I am talking about. Anyway, Wonders of Nature, The Wonder of the Seasons, and Birds are all classic, wonderful first nature books for a child (and adults!). That's all for now, but I plan on being back soon! I love her illustrations and have a collection of storybooks illustrated by her , most I have found in thrift stores. I completely understand what you're saying about some of the illustrations that creep you out. Still, I love the kind and tender way she illustrates. 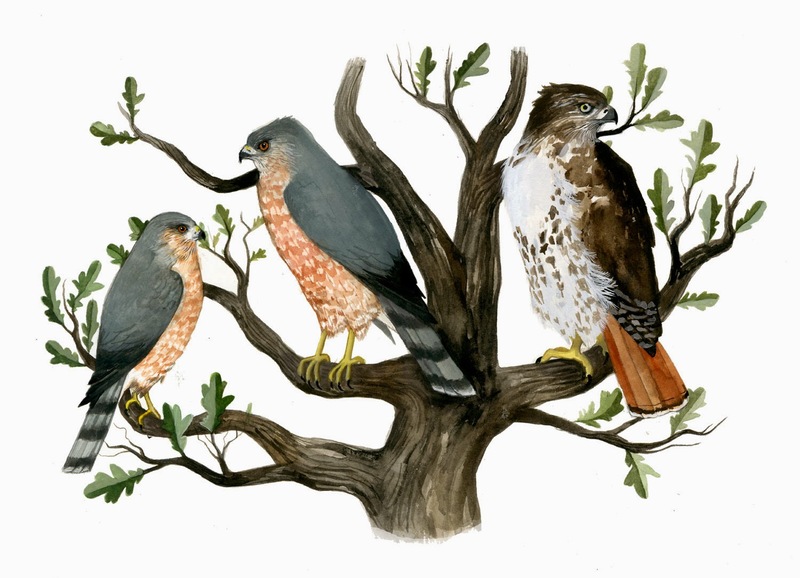 I would love to take a class on Children's book illustrators! And no need to justify having those books. Good art is good art. My husband and I always bought children's picture books before our daughter was born. As illustrators our justification was "it's reference material"! Sorry to hear that you lost your painting mojo for a while. I'm glad you're back! And I love your first painting of 2013. It's sweet but sort of somber, too. The motionlessness makes it interesting. Everything looks frozen in time. Thanks Julie! I'll be sure to check out Acorn Moon (love the name). 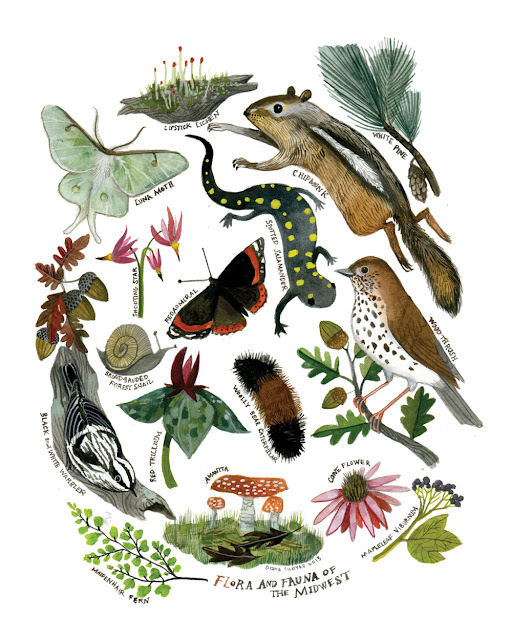 This is lovely and so much fun with all the different creatures and plants! I love your painting! I hadn't heard of Eloise Wilkins but I shall definitely do some research on her now. If you do a cursory google image search for Eloise Wilkins you will find A LOT of her materia. Thank you!